Like any culture, it can be easy to make assumptions about the lifestyle of Hindi and Indian people, but some may be surprised to know that some conventional thinking could be incorrect. 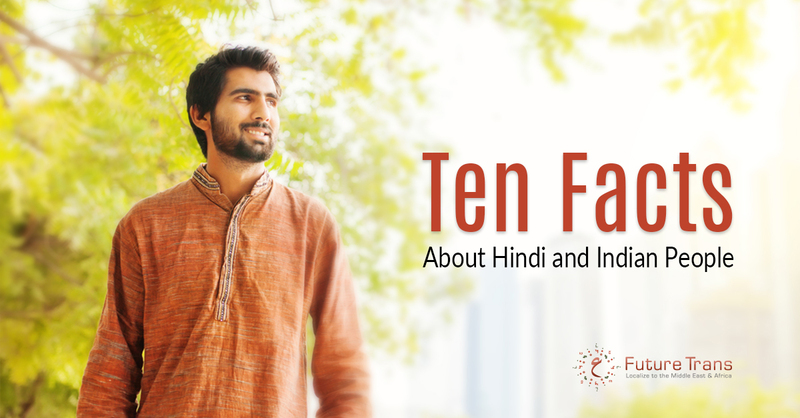 Here are ten facts that you might not know about Hindi and India. Given the popularity of Hindi, it’s easy to see why some assume that it’s the national language of India, when in fact, there are 22 languages. Telugu: 74 million native speakers. Tamil: 61 million native speakers. Urdu: 52 million native speakers. Kannada: 38 million native speakers. Although only an overview of the languages spoken the above gives you a general idea of how diverse languages are, and how many native speakers there are. These mathematical studies are rarely a favorite among students, but once mastered, allows people to obtain some in-depth data about an object in relation to physics or engineering. Although there have been interpretations of both studies, it was India who gave the algorithms their own unique spin back in Medieval times that contributed to what’s taught today. Of course, not everyone is the same, this is just impossible. However, the number of times that India has highlighted itself as a selfless nation are too many to count. Examples of how Indian people go above and beyond their duty include the relief offered by India to Nepal during the 2015 earthquake, and India’s intervention in the Maldives during the 80’s, which saved the Government from being overthrown. India was also one of the first countries to help Sri Lanka during the Tsunami of 2004. Despite only 11.38 percent of the Indian population speaking English, this still equates to 125,226,449 people. This surpasses the United Kingdom, that while having an English-Speaking populous of 97.74 percent, only equates to 59,600,00 people. Although not the national language of India, it doesn’t make the language any less popular, which is why many perceive it as the official language. However, Hindi is so popular, that is used around the world, which equates to over 500 million people who speak Hindi. As well as being one of the most popular languages in the world, Hindi has also introduced words to the English dictionary. Popular words such as ‘karma,’ ‘guru,’ and ‘jungle’ have all been borrowed from the Hindi language, despite many assuming they are English words. There’s no denying that India has seen its fair share of poverty, but this has rarely dampened the spirits of Indian people. A prime example of this is the first Indian rocket launch in 1963. Given that there was little in the way of funding, scientists thought outside the box and transformed the local bishop’s house into a workstation, with the rocket being transported on a bicycle. The rocket launch was deemed a success, and India went on to build and launch over 350 rockets. As well as being resilient with rocket launches, India soon went to on to create one of the top five space stations in the world. India’s first interplanetary mission was called ‘Mars Orbiter Mission’ and was launched by the Indian Space Research Organisation, making it the fourth space agency to reach Mars. What’s more, it was done with fewer funds than other space programs. Despite the use of plastic surgery being commonplace nowadays, it’s amazing to think that work began in the 6th century. Sushruta was an ancient Indian surgeon and made contributions in the fields of cataract surgery. When we think of movie production, it’s easy to assume that Hollywood would take the top spot. However, it’s India that is the largest producer of movies. Back in 2009, India produced a total of 2,961 movies, 1,288 of which were feature films. Bollywood represents 43 percent of the industry, and the movies being produced are being enjoyed by ex-pats and fans of world cinema. Given some of the obstacles, India has had to overcome, the country has introduced language, science, and entertainment throughout the years that have all contributed to the world we enjoy today. Despite India struggling with poverty, it has become one of the largest economies in relation to the gross domestic product. This can be attributed to the business that occurs within India, and the methods being used to raise funds. previousSay Coffee in Different Languages in the International Coffee Day! nextHow Can Translation Services Help Syrian Refugees?